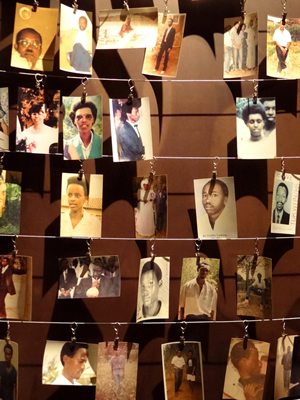 Samford University will host a free public discussion of the 1994 Rwandan genocide featuring Carl Wilkens, former head of the Adventist Development and Relief Agency International in Rwanda, April 28 at 7 p.m. in Samford’s Reid Chapel. Wilkens also will take part in an informal question and answer session April 29 at 3 p.m. in Brock Recital Hall room 102. Wilkens was the only American who chose to remain in Rwanda after the genocide began. His choice to stay and try to help prevented the massacre of hundreds of children. Most of the world stood by as more than 800,000 other men, women and children were murdered during the course of 100 days in the tiny Central African country. The free, public events at Samford are part of a joint Project Africa Now and Amnesty International series sponsored by Samford’s Office of the Provost, the Frances Marlin Mann Center for Ethics and Leadership, Howard College of Arts and Sciences, and the Department of World Languages and Cultures.